100% Export Oriented Unit of a wide range of products which include sandalwood hand bracelet, sandalwood bracelets, sandalwood beads bracelet, sandalwood tasbih 99, sandalwood laoshen beads and sandalwood beads. 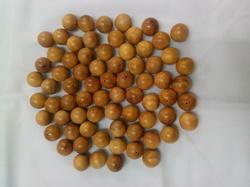 This sandalwood beads is one of the traditional material used for chanting beads. This sandalwood string is made by pure Indian Sandalwood. 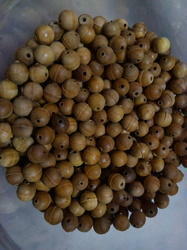 We are produced good and fine quality sandalwood beads . All size available 6mm to 12mm other size will be ready according to order base . We are providie to our client most compatative price . We are the leading industries in the domain, engaged in offering exquisite quality Sandalwood Laoshen Beads that are appreciated for their unmatched quality and flawless finish. The offered beads are precisely finished and polished under the guidelines of expert professionals. The beads we offer are available in different shades and grades to meet the diverse needs and requirements of the clients' at moderate prices. 6mm,8mm,10mm,12mm,14mm,16mm,18mm,20mm (more big size ) order base. 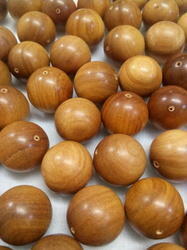 Availing knowledge of our creative professionals, we are engaged in offering a wide array of Chanting Sandalwood Beads. Our deft professionals take all the caution to give it an explicit look. These beads are highly appraised for their extreme clarity and availability in multitude of grades. In order to cater the different requirements of industry, these beads are precisely processed in other related specifications in compliance with set industry norms. 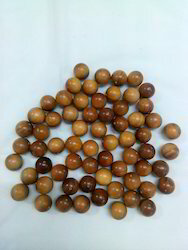 In order to cater the different requirements of industry, these sandalwood beads are precisely processed in other related specifications in compliance with set industry norms. 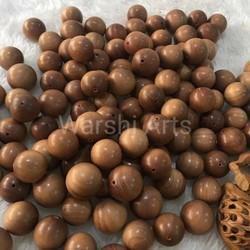 With sincerity and hard work of our professionals, we have carved a niche for ourselves in this domain by offering quality assured range of Old Wood Beads. With the support of our experts, the offered beads are precisely processed at advanced manufacturing unit. In line with set quality norms, our beads can be customized in various options according to the demands of our clients. 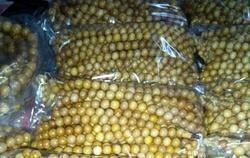 We also pack these beads using qualitative packaging material so as to ensure their safe transportation. Availing knowledge of our creative professionals, we are engaged in offering a wide array of Chanting Beads. Our deft professionals take all the caution to give it an explicit look. These beads are highly appraised for their extreme clarity and availability in multitude of grades. In order to cater the different requirements of industry, these beads are precisely processed in other related specifications in compliance with set industry norms. Being a client-centric organization, we are engaged in offering a comprehensive range of Sandalwood Beautiful Rosary Beads. Designed with best quality raw material, these beads are processed as per the need of clients. Apart from this, these beads are quality tested on well defined parameters of industry by our quality experts. Furthermore we are also engaged in customizing our offered beads in various specifications as per the requirement of our clients. 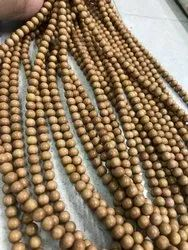 With sincerity and hard work of our professionals, we have carved a niche for ourselves in this domain by offering Sandalwood Loose Beads 16mm. These beads are available in all standard sizes and colors and highly appraised for its premium quality. The offered beads are strictly checked against various quality parameters, to cater maximum clients’ satisfaction. In addition to this, they can be customized as per the demands detailed by our clients. Sandalwood Mala, Sandal wood prayers mala, sandal wood buddhist beads. 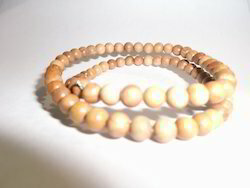 Sandalwood beads with a highly aromatic wood. Sandal wood is found in south part of India .where it grows or is traded. 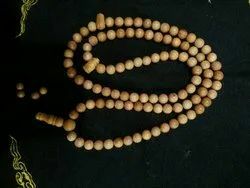 The wood is prized for making ornaments, sacred objects which is god & goddess statues,Sandal wood chanting beads,Sandal wood prayer beads, Sandal wood carvings, Sandal wood crafts and more of them. The essential oil is used in medicine, perfume and aromatherapy. 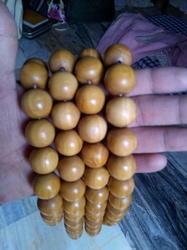 Sandal wood beads is peaceful. Sandal wood is used in medicine, herbal,cosmetic,oil, fragrance, and essential oils. The wood of the sandalwood tree is still used to make sacred objects, carvings, and various handcrafted ornaments. In the past, it was often used for temple doors, and it is still valued for intricately carved furniture--although with today's high prices, it is used for this purpose less than in the past. Chips of wood are burned as an incense or ground to make incense sticks. Packaging Details: packaging in box. With an objective to stand tall on the expectation of our esteemed customers, we are engaged in offering a broad array of Mysore Sandalwood Beads. 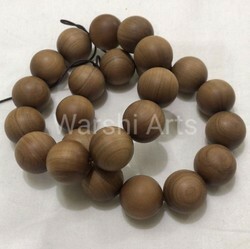 The offered beads are intricately manufactured by our talented professionals using best grade wood with the aid of latest machines in compliance with set industry norms. Widely used to craft jewelry, the offered beads are available at pocket friendly prices within stipulated time frame. 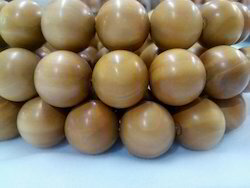 Backed with leading–edge technology and experienced professionals, we are offering an extensive range of Sandalwood Laoshan Beads are ideal for making jewelry. Designed by our dexterous professionals using advanced technology and equipments, these beads are appreciated for their features like attractive design and clear cut. Our respectable clients can avail these beads breads in various customized options and at industry leading prices. 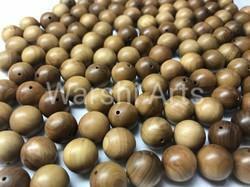 With our vast industrial experience, we have come up with a wide range of Sandalwood Chanting Beads to our clients. These beads are processed by our team of talented professionals using ultra-modern technology. Excellent in finish, these beads are extensively used by jewelers to create appealing designs of jewelries. Further, our offered beads are checked on various quality parameters to avoid any flaw and offered at most reasonable prices. 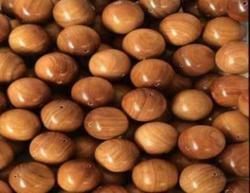 Owing to the expertise of our professionals, we have emerged as the foremost organization of an excellent quality array of 108 Sandalwood Beads . These beads are polished by our innovative designers, who are aware of latest fashion trends. Our offered beads are highly demanded in the market and can be availed by us in various shapes, sizes and other related specifications. Moreover, clients can avail the entire range at industry leading prices. Keeping track with the market development, we are engaged in offering our clients with a wide collection of Mysore Sandalwood Beads. Designed with the best quality stone, these adhere to the set quality standards. We offer these beads our respected customers in different sizes, appealing patterns, attractive designs and shapes. Clients can avail these beads from us at affordable rates. 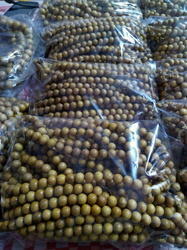 By our rich industry experience, we are committed towards offering wide array of Sandalwood Rosary Prayer Beads . 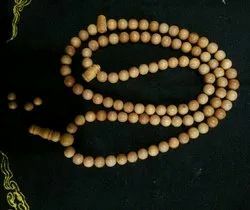 The offered mala is designed using quality approved wood that is sourced from reliable vendors of the market and sophisticated tools in compliance with set industry standards under the supervision of skilled professionals. Our offered mala is available in various colors, designs and patterns. 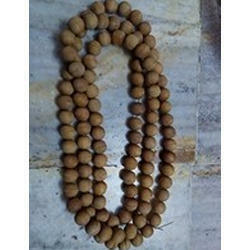 Besides, we offer this mala at market leading prices to our clients. Being a reputed organization united by skilled and experienced professionals, we are offering an enormous assortment of Rosary Beads. These beads are delicately finished and polished at par with industry standards by our expert personnel. Our entire range is especially finished to suit the classy tastes of our prestigious clients and is subject to customization, as per their specific requirements. 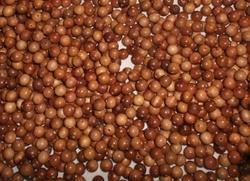 We have emerged as a leading organization, engaged in offering superior quality Sandalwood Beads 2o Mm that are highly demanded for making variety of beautiful jewelry pieces. Besides, these beads are perfectly finished and polished for adding elegance to the jewelry. Moreover, the excellent luster and striking surface of the offered beads have made us a prominent manufacturer in the market.